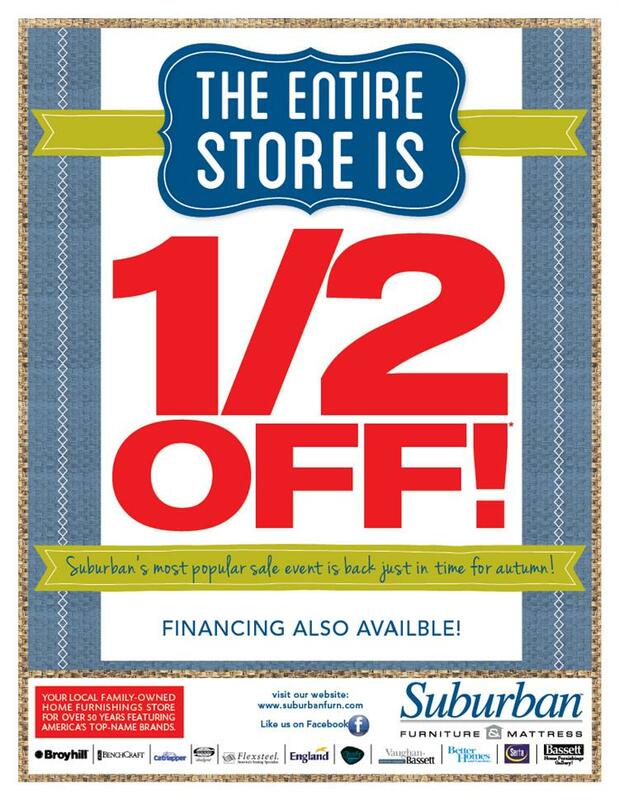 What’s new and happening at Suburban Furniture? 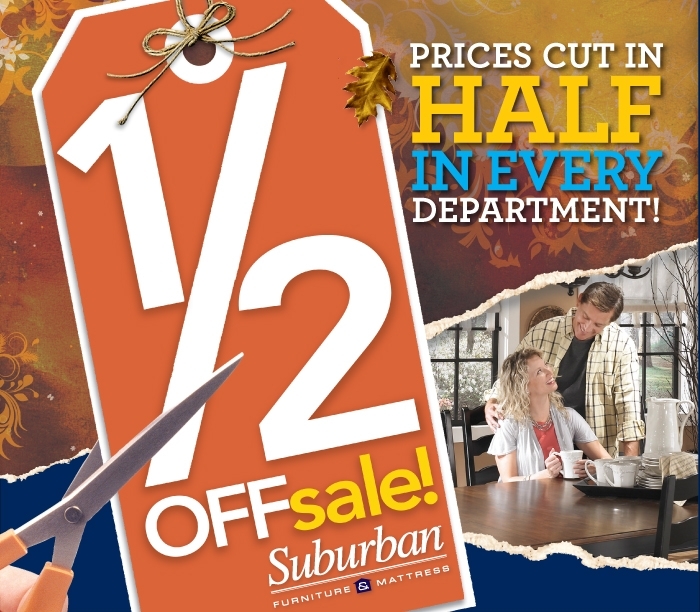 Well, it’s that time of year again – time for one of our most popular events – our Half Off Sale! That’s right, everything in our store is currently half off! 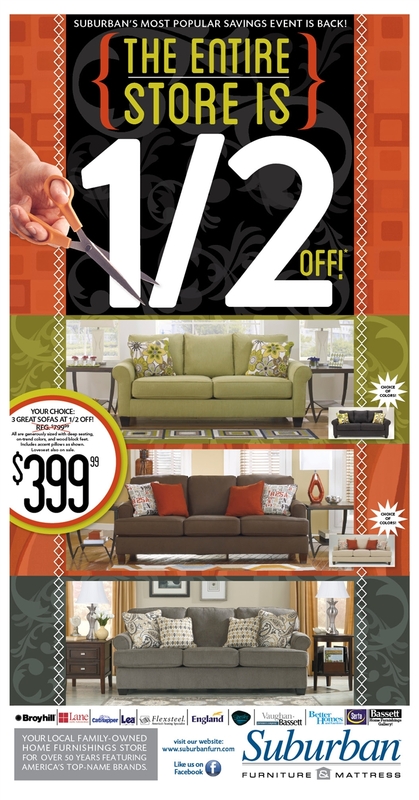 From sofas to bedroom sets, everything is half price. Now is the perfect time to finally tackle redecorating or just invest in something new. So come by today to see what we have to offer!